Cyril Ong has found meaning in his life and he is on a mission to help as many people as he can. Things were a lot different for Cyril Ong, 72, many years ago. He didn’t get to spend as much time with his family as he worked in the US for a life support equipment company as well as other things he did that he is not proud to reveal. However, it took several events in his life that would take him off-course and in a direction, that he feels he was meant to be on. The first event happened when he was 55. With no symptoms, he was in a meeting in Indonesia when he collapsed and had to be medevacked to Singapore. He found out that he was suffering from a rare disease of the arteries and veins in the arms and legs called Buerger’s disease, where blood vessels become inflamed, swell and become blocked with blood clots. This can damage and destroy skin tissues, and may lead to infection and gangrene. He recounted that he had to amputate all of his fingers as they had become gangrene but counts his blessings that the disease did not go further down, affecting his legs. It took eight months to heal and visiting four hospitals in Singapore for various services, said Cyril, who showed off his artificial fingers, which serve as a reminder of a tough time in his life. After what he went through, he went back to work and continued for another 10 years with the US company. But it was in 2001, when his journey went off-course again. While celebrating his mother’s 80th birthday, he got on stage and unbeknownst to himself even, he blurted out to his family and others that he was going to quit his job. “Life sometimes doesn’t go the way you want it to go, and sometimes, you just need to go with the flow. Quitting my job was really about spending time with my family and doing the things I wanted to do and that included wanting to give back to society,” said Cyril, who also shared that he wanted to spend more time specifically with his mother, something he was unable to do while he was working. 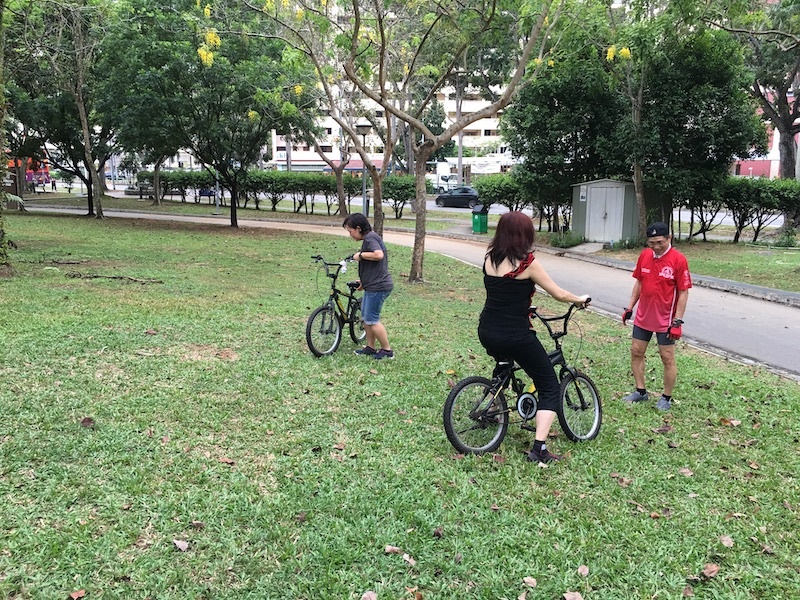 Cyril teaching seniors and others in Punggol Park how to cycle. Though this new journey of his, the father of three found various ways to give back to society. In 2002, he started the FILA Soccer School in his neighbourhood and trained children aged three to 10 with soccer skills. When the school later merged into a national league club, he handed it over to a coach to continue the work he was doing. Even before the school got started, Cyril was a volunteer soccer coach for three years at various international schools. When a friend came calling for help to project-manage various overseas engineers, he jumped on the chance to keep busy but somehow, he ended up doing more than just that. On his spare time, he taught them English twice a month and did so for four years while on the job. During that time, he wasn’t very active playing soccer and wanted somehow to stay physically active, so he rekindled his love for mountain biking, something he enjoyed doing when younger. “I often like the quiet time to reflect and cycling allows me to do that,” shared Cyril. In 2014, he met a number of seniors who wanted to learn how to cycle, but didn’t want to mountain bike. Without hesitation, he knew this was yet another chance to give back. 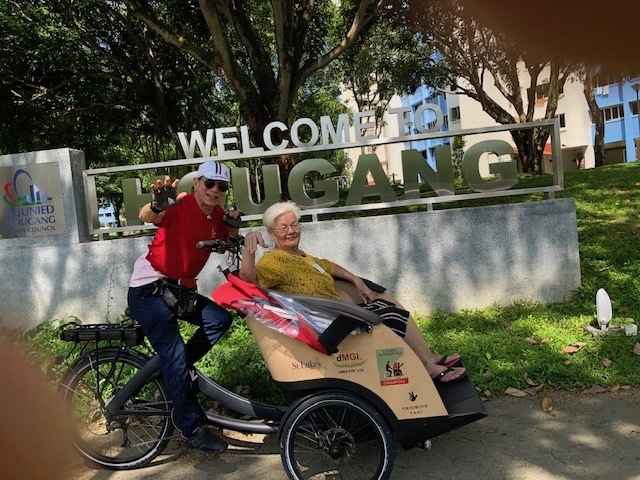 He started an informal cycling training programme in Punggol Park and taught the seniors once a week, from balancing on a bicycle to having confidence in braking and not to fall. 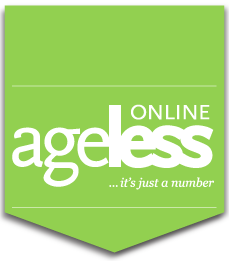 The group still continues today and according to Cyril, he has so far trained around 40 seniors and others. Some of his group of trainees however wanted more, so he started a cycling team called the Dream Voyagers where they would cycle day or night all over Singapore. Currently, the group consists of around 15 seniors. Besides this, he also leads a team of cycling enthusiasts every Saturday, riding 60km to 70km all around Singapore. Cyril giving trishaw rides to seniors from St Luke’s ElderCare Hougang Meadows Centre as part of Cycling Without Age. But his cycling journey and helping people didn’t just end there. 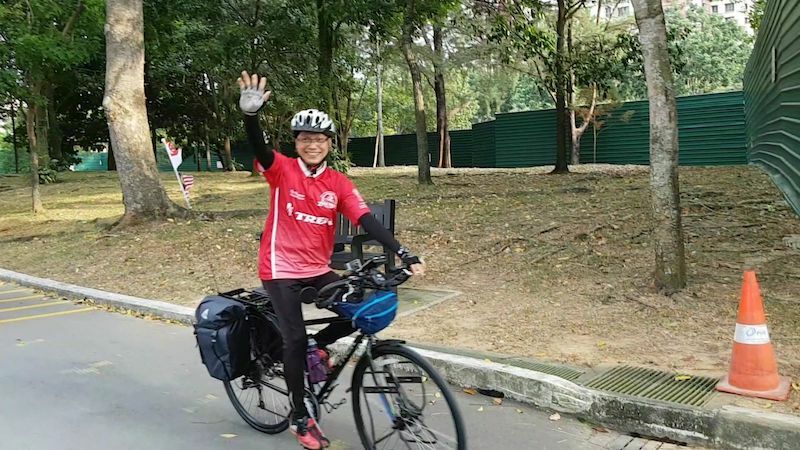 Last year, he led six seniors in a cycling tour from Singapore to Batu Pahat in Johor and back as part of a fundraising effort for non-profit RSVP Singapore-The Organisation of Senior Volunteers. He has also gone on to be a regular volunteer with a movement called Cycling Without Age (CWA), trading his two-wheeler for a trishaw. Since December last year, he has been bringing out five seniors from St Luke’s ElderCare Hougang Meadows Centre every Tuesday from 9am to 12pm on trishaw rides around the area. Every time that he brings a senior out, he shares his experiences through an e-mail with CWA. The plots in his garden are blossoming with fruits and vegetables. No problem is also ever too big for Cyril to tackle. 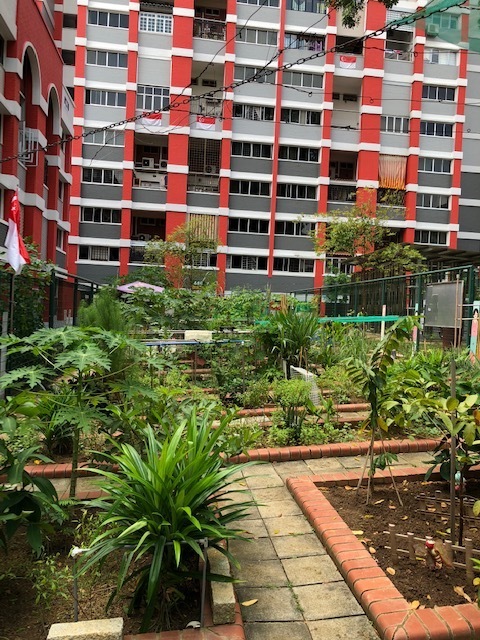 For instance, through his cycling activities, last year he came upon a garden and found a bunch of women who had difficulty planting their vegetables. “When I see things with problems, I tend to like to solve them,” laughed Cyril. He decided to take a whole day course on his own about soil and worms, and what to plant. He rented a plot of land beside the women’s plots, and used what he learned on his own plot. After three months, his plants grew and the women then persuaded him to be the head of the garden. He ended up teaching them new skills and now everyone’s plots are blossoming with fruits and vegetables.